Minneapolis, Minn. : Graywolf Press, 2012. "Taking its title from Danger Mouse's pioneering mashup of Jay-Z's The Black Album and the Beatles' The White Album, Kevin Young's encyclopedic book combines essay, cultural criticism, and lyrical choruses to illustrate the African American tradition of lying-telling tales, fibbing, improvising, jazzing up, "storying." What emerges is a persuasive argument for the many ways that African American culture is American culture, and for the centrality of art-and artfulness-to our daily lives. 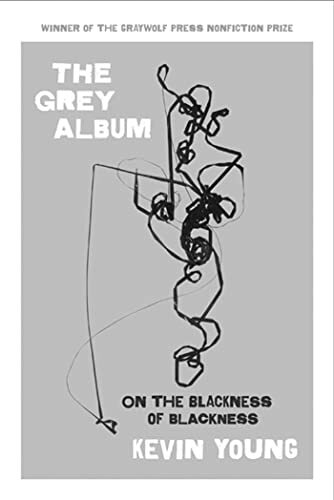 Moving from gospel to soul, funk to freestyle, Young shifts through the shadows, the bootleg, the remix-all the grey areas of our history, literature, and music."--P. 4 of cover.